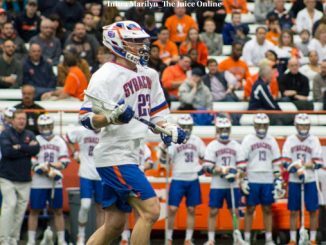 Syracuse lacrosse improved to 2-1 after Sunday’s 10-8 win against Army. 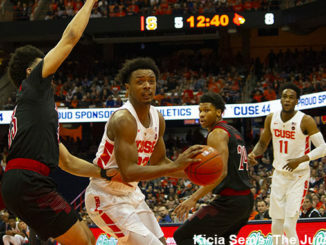 Elijah Hughes led Syracuse with 18 points while shooting 4 of 10 from downtown. 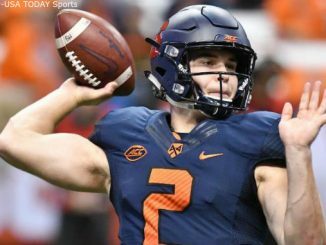 Early on, this team looks to be formidable and a team that is worth watching going forward. 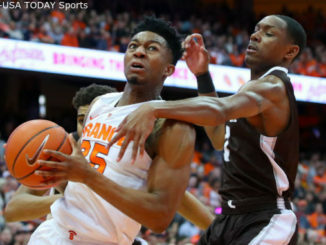 Tyus Battle bounced back after only having six points against Pittsburgh. 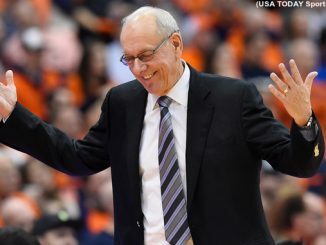 Syracuse guard Buddy Boeheim scored a career-high 13 points, finally showing flashes of his much-hyped shooting touch. 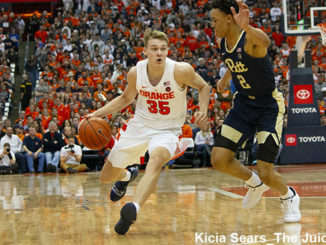 The Orange shot 58 percent from the field and 6-17 from downtown, scoring a season best 46 points in the first half. 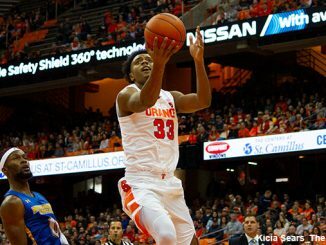 It’s early, but Hughes is averaging 14.1 points and 4.3 rebounds, establishing himself as one of SU’s most reliable scorers. 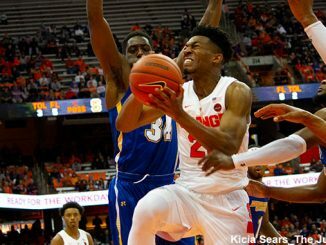 Syracuse fought off pesky Morehead State on Saturday night at the Carrier Dome, 84-70. Elijah Hughes impressed again, finishing with 21 points. 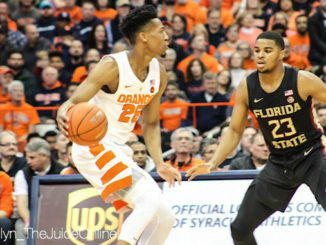 Syracuse’s defense solidified a 51-41 victory over No. 22 NC State.